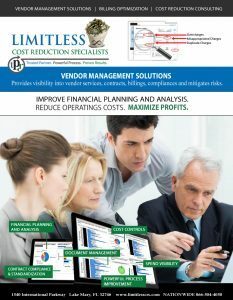 An LIMITLESS telecom and utility audit / billing optimization provides potential credits and refunds while minimizing go forward operational costs for your organization. Please consider the timeline above as our best estimate. Step 3: After the kick-off call, your company will send us your billing information and telecom contracts, along with any required LOAs or defined documents necessary to work with the carriers on your behalf. This typically takes clients 15-30 days. Step 4: Our team evaluates the data collected along with obtaining detailed records, utilization reports, and other elements necessary to compare against billing data reviewed. LIMITLESS then works with your carriers to obtain credits and refunds for misappropriated charges, determined unnecessary services and remove these costs while negotiating new contract rates, terms, conditions and SLA’s; leading to huge savings and better contract positions. 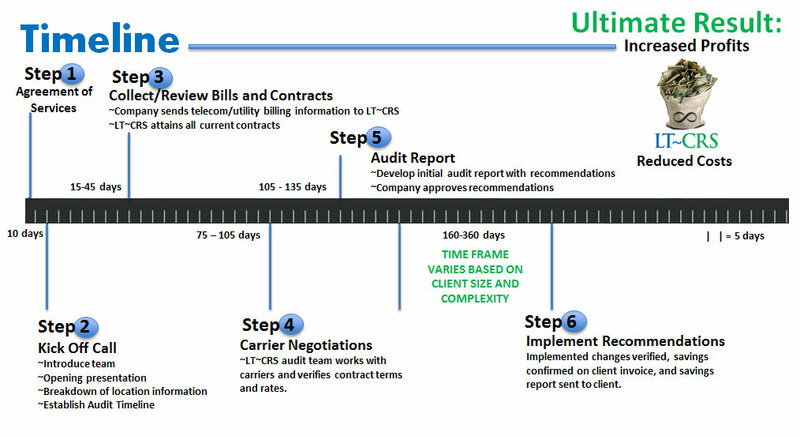 Step 5: LIMITLESS present our audit report to your company. The audit report is comprised of go-forward rate and service recommendations which your company approves before any action is taken. Step 6: Once you approve our recommendations, LIMITLESS works to set our recommendations into actions. 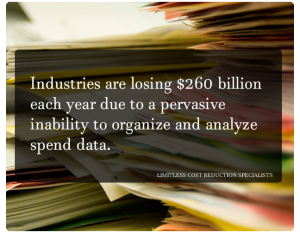 The Ultimate Result: Lower overhead costs for our clients, better contract positions and increased profits for your company.